Fred Weasley. We all know what happened to him. Killed by a wall blown up by Augustus Rookwood. But what if he wasn't dead? That body left behind? Decoy. Rookwood needed Fred for his own reasons. Once he was finished with him, Fred was obliviated. Everything of the magical world, who he is, his family, is all erased from his memory. He finds himself in London one day with no memory of how he got there. He remembers nothing of his life. Seizing onto the small things he thinks he remembers, he believes his name to be Arthur Rookwood. While he tries to figure out his life, he meets a girl, Brooke. They begin dating, and eventually marry. 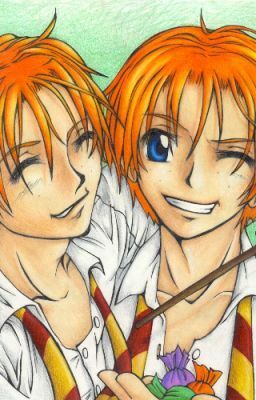 Arthur and Brooke have twin daughters, who they name Fredalena and Georgette, or Fred and George. Arthur doesn't know why, but the names hold special meaning for him. Eighteen months later, they have a daughter, and name her Ginny. But what happens when Fred and George get Hogwarts letters?